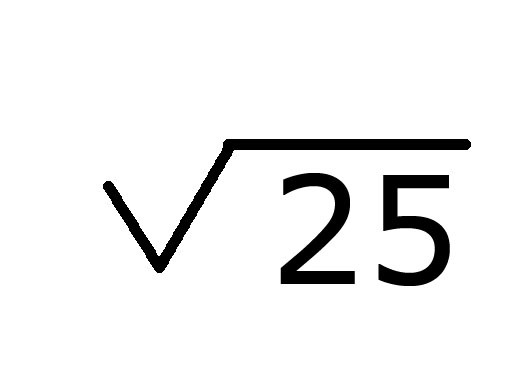 I never realized until this weekend what someone did with a square root. My architect husband and son were discussing room measurements for planning purposes. They were talking about finding the room's square root. My ears perked up. They explained that if the room, for example, was 25 square feet, then each side was 5 feet. Since length times width determines the area. Now I remember this formula and how to find square feet, I just never put it in reverse for some reason to actually use the square root. Kids are always asking in math classes, "Why do we have to learn this?" Now I have a specific and practical reason for learning square roots. When simplifying multiplying square roots, for visual learners, I explain that they are simply finding the TWINS. In the above example, the twins are 5 and 5, since five times five equals 25. I would do lots and lots of these examples calling it "Under the same Roof," before I would attempt teaching them how to separate square roots to do the opposite and simplify them. I would probably set up a matching game on the board with square roots in one column, and doubles in the second column. I would ask the kids to take turns coming to the board to match up the twins to their "house" or radical. So the square roots of 4 would match with 2 x 2. The square root of 16 would match with 4 x 4. The square roots of 49 would match with 7 x 7. I think this step with the matching is so important to visual learners. You could take it one step further the next day, by setting up a rug company. They must determine the length of rug to order by knowing the square footage of the room. This reinforces the concept, and might even encourage a budding architect. I tell the kids that when this happens the non twin stays in the house, and the twins go out to play, with one gone and one staying in the yard. It seems to work. This story seems to work for visual learners. This was a learning event for me to make the square root symbol in Photoshop and try to put it in this blog. I tried doing this in Word, but when I copied and pasted it, I kept getting a question mark. I guess we're learning square roots in two different ways.